It was enough to bring Microsoft billionaire Bill Gates to tears - a memoir by neurosurgeon Paul Kalanithi, who died of lung cancer in 2015 age 37. When Breath Becomes Air has now been shortlisted for the prestigious Wellcome Book Prize, which recognises books about health or illness. After reading it, Gates wrote a blog post titled This Book Left Me In Tears. In it, he declared: "This is the best non-fiction story I've read in a long time." 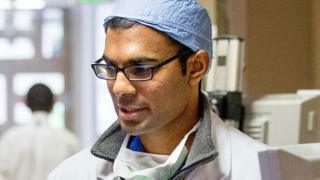 Kalanithi's memoir chronicles his journey from medical student to neurosurgeon, patient and father before he died while still writing the book. It is the first posthumous work to be considered for the prize, where both non-fiction and fictional books are eligible. The winner of the £30,000 prize will be announced on 24 April.